Nirexa sighed as she walked through the park. She vaguely remembered that her sister had loved it there. Nirexa sighed again. It was hard to think of her sister. There was no one she could relate to. "Guess I'm alone today, huh," she said out load. A young couple gave her a weird look before running away. "Oops, looks like I'm scaring them." Some more people ran off. "Maybe I should stop talking out loud," said Nirexa as more people ran away. Mirai heard someone yelling from a distance. "I wonder who it is?" she wondered, as she trailed off to find who it was. She was shocked to see Ms. Seney. "M-Ms. Seney!" she said in surprise, "Good morning! I didn't realize teachers went out after school." Nirexa looked up to see Mirai. "Why hello, sweetie. Why are all these people running away from me? I ain't gonna hurt them," she said a bit annoyed. Maxs was walking through the park when someone collided with her knocking her to the ground. The person didn't stop though, he just kept running. "No sorry? Or are you okay?" muttered Maxs angrily. She reached for the handle of a bench to stand up. As soon as she stood up, sheering pain shot up her right leg forcing her back down. Mirai looked at the people running. To be honest, she didn't really notice them till now. She smiled sheepishly and gave a little shrug. "Not very sure...but I feel bad for anybody stuck in that traffic jam." Nirexa looked up at the sky. "they all probably thought I am crazy because I was talking to myself. And one more thing, I saw one of your friends somewhere over there," said Nirexa pointing in the direction people were running. Sayeko was walking around the park when she accidentally bumped into someone running. "Are you ok?" The person nodded and said"I'm fine, but there's a crazy screaming lady over there." Then he ran away. She looked at the man in confusion and then continued to walk when she stopped she saw Nirexa and Mirai. "Ms. Seney, are you the crazy screaming women everyone's talking." She said calmly as she walked over to where Nirexa and Mirai. And she greeted Mirai with a slight wave. "Maybe, I'm not sure myself. I was just talking out loud to myself. Some people are idiots. I don't understand you city folk," sighed Nirexa. Maxs stood up again. This time she put most of her weight on her other foot. She looked around. "Looks like the crowd is dying out," she muttered. She stopped a boy who was running. "Pardon me, but why are you running?" she asked sweetly. "There is some crazy lady talking out loud over there. And you should probably stop being emo," said the boy running off. "I'M NOT EMO!" yelled Maxs after him. She shook her head angrily. Mirai slightly giggled. She did like Ms. Seney's attitude sometimes. Then she spotted Sakeyo and smiled. "Hey!" she grinned to her friend as she waved back. Suddenly, she heard a familiar voice. Did someone just say, "I'm not emo?" She turned and saw Maxs. She brightened up. Was something going to happen again? Maxs looked around and saw Mirai and Nirexa. She slowly limped over to them. "Hi guys!" she said. She turned to Sayeko. 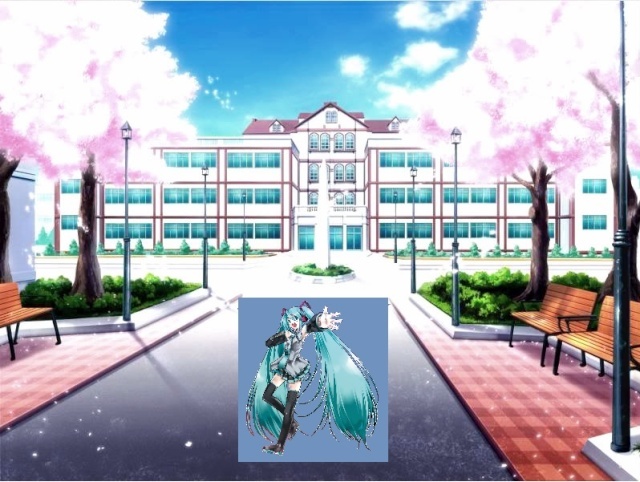 "I'm Maxs, member of Vocaloid," she said. "Nice to meet you, Maxs. 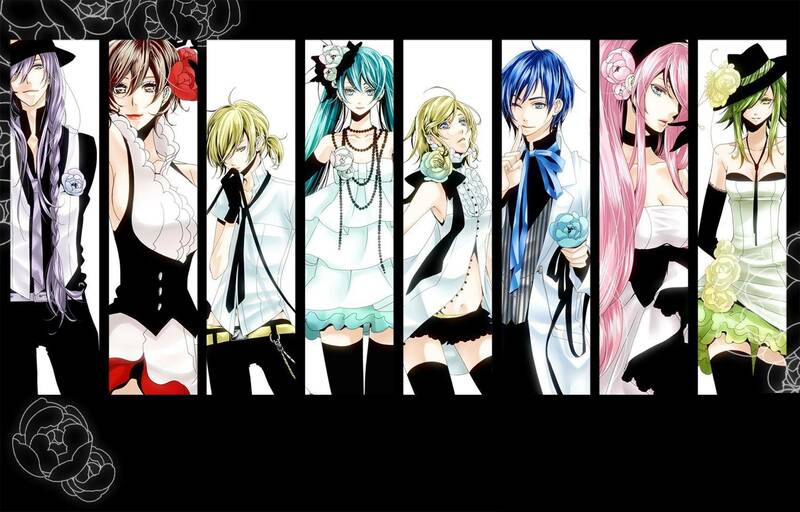 I'm also from Vocaloid. The name is Sayeko." She said smiling. Maxs nodded. "I need to sit down for a little," she said taking a seat on the bench. "Ms. Seney, people are freaking out cause you were yelling." Xden was walking to the park when he bumped into a boy. "There's a crazy woman in the park!" yelled the boy. Xden sighed. He looked up and saw his friends and Nirexa. "Hi Sayeko! Hi Ms. Seney! Hi Mirai! Hi Maxs!" he said. Maxs looked up. "Hey Xden. Nice to see you here. I hope you didn't almost get run over by panicking people. It's not very fun is you ask me," she said. Xden smiled. "Did you get run over Maxs?" he asked kindly. He smiled again. Maxs sighed annoyed. "no, I didn't get run over. Some idiot just crashed into me. But I think I sprained my ankle," she replied. Maxs stared up at the sky and sighed. Xden looked concerned. "Maybe you should go see a doctor," he said sweetly. "Are you sure that you're okay?" Sayeko asked a bit concerned. "Yeah, I'll be fine. It happens a lot," said Maxs pushing some hair out of her face. "If you say so," said Xden. He turned to look at Nirexa. "Why were you yelling?" he asked. "I was just talking to myself. Folks need to calm down," replied Nirexa. She sighed. "Maybe you shouldn't talk out loud. People think it's strange to do that," said Maxs. Mirai nodded sheepishly. "That's true," she said as she looked at the empty park. Wow, that's not very common..seeing an empty park. "Though honestly I think you're the one who needs to calm down." Sayeko said letting out a little laugh.